If you’re new to our blog you might not know that we’re not the average food blog. I mean we do post recipes, restaurant reviews, travel tips and chat up our favorite ingredients but we’re more than the everyday animal-friendly foodies. We’re two people on a mission to veganize all the things… like all of them. Fried Eggs – Veganize! Hightower NY Style Cheesecakes – Veganize! Crawfish Boils – Veganize! Back in 2009, we started cooking our way through Betty Crocker’s Big Red cookbook in what we call The Betty Crocker Project. It’s goal was to not just show that everything and anything can be made vegan but also to celebrate the spirit of the iconic Betty and show people how to use all the new and awesome vegan products out there. Some people don’t know that’s why Betty was invented in 1921 – to show people (let’s be honest women) how to use Gold Medal products and the new equipment that came with a modern electric kitchen. Gold Medal Flour sent “Bettys” all over the US to state fairs to show people how easy it was to use an electric oven and to encourage them to replace the wood burning stoves they’d grown up with. Over the years, “Betty Crocker” would come to provide guidance, encouragement and for some who were isolated by husbands who went off to war and moves to the suburbs… a form of companionship with The Betty Crocker radio show and correspondence. This is exactly what we wanted to do for vegans with this blog, The Betty Crocker Project and our book about this cooking project Betty Goes Vegan. Even though we’ve cooked our way through Betty’s Big Red and have written a book about it – The Betty Crocker Project is still going strong. You can click here to check out The Betty Crocker Project recipes. 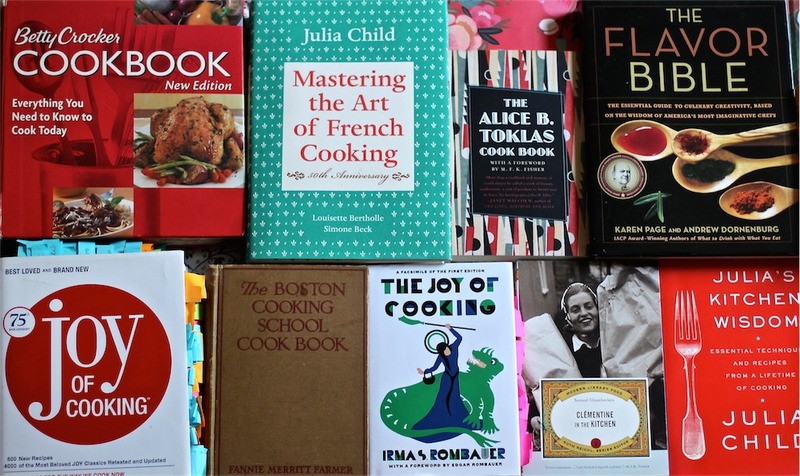 The photo on this page shows some of the books that have also inspired us in the kitchen but they’re not the only ones. You’ll find find we have veganized recipes from cookbooks ranging from the turn of the century forgotten classics found rationing pamphlets to recipes found in cookbooks we’ve collected on our trips to The Star Wars Cookbook… while sticking some of our original recipes in there too! Ultimately, this is a blog though that was created to celebrate the wonderful world of being a kind consumer and all around good guy while enjoying big stacks of waffles and snickerdoodle cookies.